Global Ethics Day 2018 - Call for papers "Ethics in political philosophy"
We encourage academic institutions everywhere to use this opportunity to hold programs focusing on ethics, such as lectures, film screenings, debates, or panel discussions. We welcome your ideas. In the tradition of a "teach-in" model, these events will be run by each institution as it sees fit while being part of a worldwide Global Ethics Day. Magazine "Philosophical Views" and the "World Philosophy Network" are the part of the official celebration, among the most important institutions and journals such as Ethics & International Affairs (a member of the Cambridge University Press). The most important world institutions such as the United Nations, Oxford Uehiro Centre for Practical Ethics, Harvard Kennedy School, Springer and many others were among the official participants on this celebration last two years. One of the most important world thinkers Professor Peter Singer was the main speaker on this event. ​The "Association of Heritage and Education" is honored to invite you in the International Conference on “Education and Cultural Heritage”, which will be held in June 10, 2017 in Brussels, Belgium. The aim of the conference is to bring together a wide audience of academics, engage participants in fruitful debate and facilitate mutual understanding. An additional goal of the conference is to provide opportunities for researchers and professionals with inter-disciplinary/multi-disciplinary interests for potential cooperation. Educational quality and standards; Curriculum and Pedagogy; Vocational education and Counseling; Lifelong learning; Training programs; Teaching and learning relationship; Extra-curricular activities; Assessment; Pedagogic innovations; Inclusive and Special Education; etc. Managing Heritage Resources; Heritage and Tourism; Economic Development based on Heritage, Merging Economic and Cultural Appraisals; Heritage and Museum Management in the Digital Era, Heritage and Law Protection; Culture, Religion and World Politics; Return and Restitution of Cultural Property to its Countries of Origin; Protection of cultural heritage from acts of terrorism, etc. Gender studies; Traditions and values; Emigration and Migration; Identity; Diversity; Feminism; Queerness; Taboos; Disability; Migration; Spirituality; Sexuality; Popular Culture; Digital Culture, Culture and Behavior, Childhood development and Schooling, etc. ​Conference: June 10, 2017 in Brussels, Belgium. ​All participants are expected to contribute with an original and unpublished article, which will be published in Book of Proceedings. NOTE We welcome participants from all countries, but priority is given to the Balkan countries. Magazine "Philosophical Views" and "Preformance Philosophy - University of Bremen"
How does Performance Philosophy Act? Ethos, Ethics, Ethnography is the 3rd biennial conference organized by the international network, Performance Philosophy, founded in 2012. 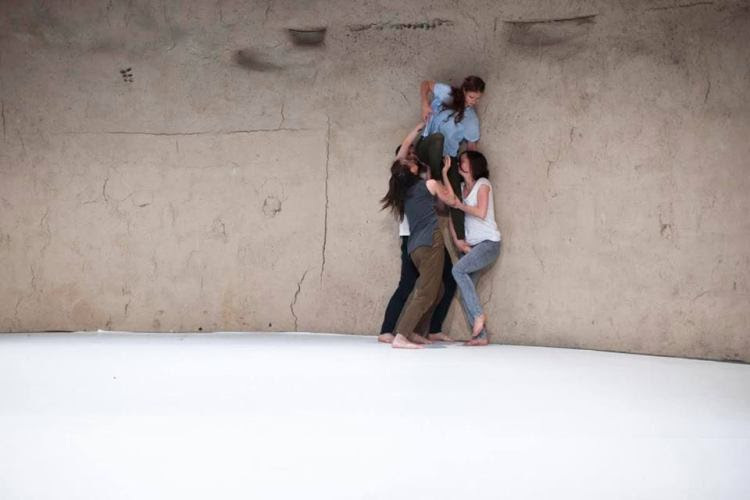 An emerging interdisciplinary field of thought, creative practice and scholarship, Performance Philosophy is concerned with all aspects of the relationship between philosophy and performance, including the ideas of “performance asphilosophy” and “philosophy as performance”. ​En mi libro “El concepto de alienación según Augusto Salazar Bondy”, indaga sobre las características del ser humano alienado. Para ello, se trata la formación filosófica del peruano Augusto Salazar Bondy, sus principales influencias, tanto europeas como peruanas. Su concepción del hombre y su teoría de la alienación, indagando sobre las causas y las manifestaciones de la alienación y las posibilidades de salir de esa situación. 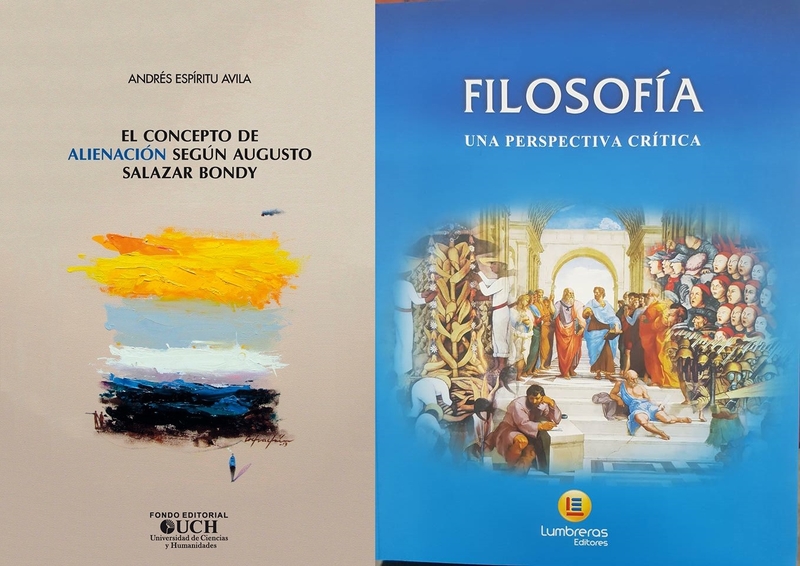 El libro: “Filosofía, una perspectiva crítica” es un compendio de temas sobre la Historia de la Filosofía, desde el período pre-socrático, siguiendo con el periodo sistemático, helenístico-romano, medieval, moderna y contemporánea, además que trata de las más importantes disciplinas filosóficas como Antropología filosófica, Gnoseología, Epistemología, Axiología, y Ética. What is the Changing Media Summit?The Guardian’s Changing Media Summit is our flagship media event bringing together the industry to discuss how to rebuild trust. With the support of Olivera Z. Mijuskovic, Editorial Board of the "Philosophical Views", a member of the several Networks and Associate Autohr of "The Guardian". For 1000 years, philosophers and literary theorists have tried to make fullest sense of the Poetics by assuming, apparently without exception, that Aristotle conceives of poiēsis as the sophist Gorgias first did, as “(the making of) language in meter.” In Unit 1, Scott demonstrates how the treatise can be interpreted, and what perennial dilemmas can be resolved, if we instead take Aristotle to be following Plato and Diotima in the Symposium (205c). As Diotima states there, poiēsis means “(the making of) mousikē and verse,” whether mousikē means “music” in our sense or, as it can be, “music and dance” in the ancient Greek sense, as proved for Plato in the current context of theatrical art in the Laws and Alcibiades. Chapter 2 includes a revised version of Scott’s “The Poetics of Performance: The Necessity of Performance, Spectacle, Music, and Dance in Aristotelian Tragedy” (Cambridge University Press, 1999). Moreover, in 2003, Scott argued in “Purging the Poetics” (Oxford Studies in Ancient Philosophy), reprinted here as Chapter 5, that M.D. Petruševski was right in publishing in 1954 that Aristotle could not have written the word katharsis in the famous definition of tragedy. However, Petruševski kept pity and fear and amended the clause, whereas Scott gave a brief argument why the whole catharsis clause, including pity and fear, was mistakenly interpolated into the definition by a subsequent editor. Recently, Marwan Rashed (Sorbonne) follows Scott and Petruševski but tries to amend the clause, also keeping pity and fear. In Unit 2, Scott provides the additional and seemingly insuperable evidence why pity and fear cannot be in the definition, and why those two emotions are crucial for Aristotle only for a sub-type of tragedy. Included is a rigorous rebuttal of Stephen Halliwell’s seemingly impressive critique of “Purging” from Halliwell’s Between Ecstasy and Truth (2011). With the catharsis, pity and fear clause arguably forever banished from the treatise, Scott continues in Units 3-4 to explain what the real goal(s) of tragedy are for Aristotle and how the Northern Greek truly responds without catharsis to Plato’s attacks on tragedy and comedy (showing also how Plato himself uses catharsis extensively very favorably in his own theories). 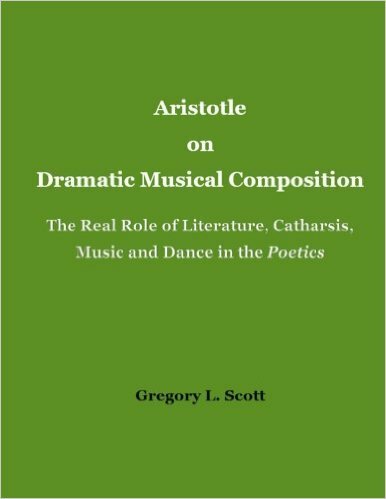 Scott continues by demonstrating the too little recognized importance of comedy for Aristotle and of catharsis in that context, and then by exploring the dangers and rewards of trying to extend the principles of musical dramatic theater to other art forms. The treatise was never intended to be literary theory, nor were most of the principles intended to be directly applicable to literature. Rather they were intended to be applied to an art form that like our Broadway musical theater and almost like our opera employs language merely as one of the elements, and not even the most important one. All of this helps prove that tragedy for Aristotle was dramatic “musical” composition that required dance and spectacle (and of course language), showing admirable people in action, with the best tragedies being specifically Cresphontes and others that end happily, not Oedipus, which is given the same ranking in Chapter 14 that it received when Sophocles lost to Philocles, — only second prize. All of this moreover absolves Aristotle of a number of other criticisms and opens the door for a fresh appraisal of the treatise that in spite of the two long-standing fundamental misconceptions is considered to be the most influential work of literary, dramatic and artistic theory in Western culture. SWIPshop is still accepting abstracts for papers to be workshopped in the spring! We encourage philosophers at all stages – graduate students, faculty, and retired philosophers! – The deadline is Tuesday, November 1st. 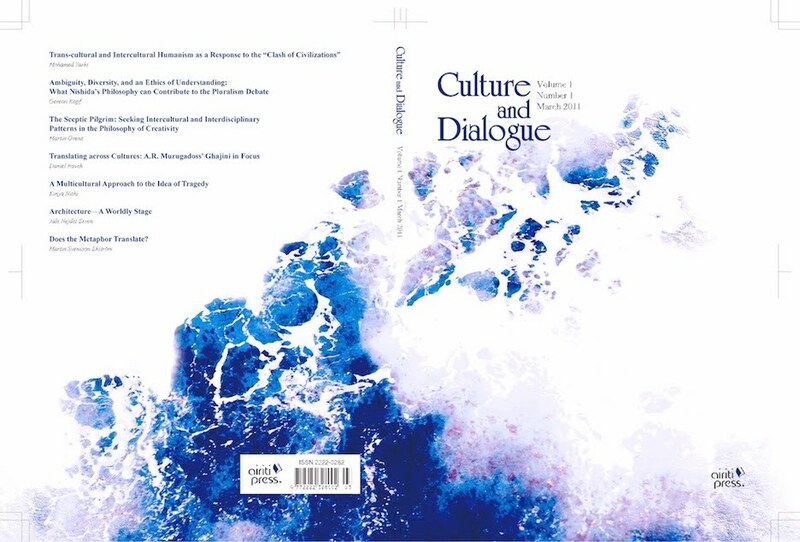 Editor-in-Chief of journals "Culture and Dialogue" & "Journal of Aesthetics and Phenomenology"
International Conference Wednesday 2 and Thursday 3 November 2016,from 10 a.m. to 5 p.m., UNESCO Paris, room XI "WORLD HERITAGE AND MUSEUMS"
A two-day conference to discuss the inherent links between World Heritage sites and museums related to these sites: museums as mediators, conveyers of Outstanding Universal Values, custodians of history and shared duties; museums as caretakers of World Heritage Sites, their integrity and drivers of sustainable social and environmental development. Simultaneous interpretation will be provided in English and French. 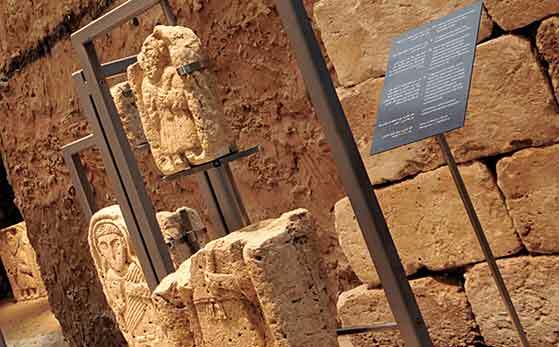 The event is co-organized by UNESCO and ARCWH (Arab Regional Centre for World Heritage), in cooperation with ALECSO (Arab League Educational, Cultural and Scientific Organization), ICCROM (International Centre for the Study of the Preservation and Restoration of Cultural Property), ICOM (International Council of Museums), ICOMOS (International Council on Monuments and Sites) and IUCN (International Union for Conservation of Nature). Doors will open at 9 :30 a.m.